We could not have navigated Denver’s historically hot real estate market without the assistance of Emily Roet and Charm Gilmore. They provided excellent guidance in getting our home ready to see, secured our top price and helped us find a new home in our preferred neighborhood. The process is very rapid and emotionally charged, and Emily’s team kept us focused and supported the whole way through. From start to finish, our experience working with Emily and Charm has been nothing short of exceptional. Both are very communicative, very transparent, and always have your best interest in mind. I would highly recommend working with them whether you are buying and/or selling your home. Great service and friendship all around. Emily’s expert advice allowed the timing of our purchase and sale to work perfectly ~ we purchased the home of our dreams and we sold our old home for substantially more than we expected. One reason our home sold for as much as it did is because of the work and advice that Roet Realty provided to get it ready for the market. Her company pays attention to every detail that matters. Emily is the best realtor we’ve ever had, and we’ve had a few! Emily is a fantastic real estate agent! She truly partners with her clients to make the right decisions and provides a personal touch. She goes way above and beyond to ensure her clients are happy with the end result. 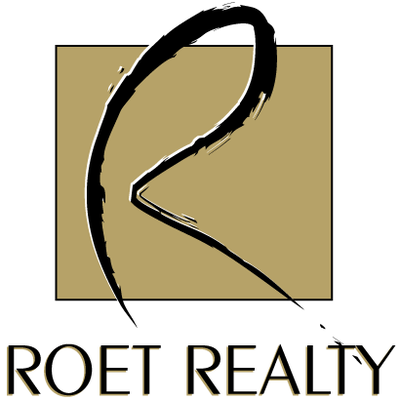 recommend Roet Reality to anyone who is in need of a realtor. The Roet Reality team is the best! Philip S. & Vanessa P.
We first became acquainted with Emily when she was on the other side of the table, representing the sellers of the home we purchased six years ago. When we recently decided to sell that home and purchase a new home, we instantly knew we wanted to have Emily help us. We knew she was a creative negotiator and very knowledgeable about how to position a home to sell, sell quickly, and at a fair price. We can report that we also are very impressed with her work representing us in the purchase of our new home. She is a dedicated professional with great experience and skill. Most importantly to us, however, she is a trusted advisor who you can be sure will do her homework and give you a candid assessment of your prospects. We very highly recommend her to anyone looking to sell or purchase a home. Between the two of us, we’ve worked with Emily for five property transactions. Whether we are buying or selling, she has always gotten us great results, and each time she impresses us with her savvy attention to detail. During a tough real estate market, I hired Roet Realty to both sell my house and find me a new home. I believe Emily’s focus, accurate pricing, fabulous staging, and marketing are what made the very first person who saw my house give me a full price offer (during a down market). She also found me the perfect new home that met all my requirements – location, price, and amenities! Emily supplied all the resources to quickly and inexpensively change an ugly, unfinished basement to a lovely bedroom, bathroom, and sitting room. I more than recouped the money I spent when my house sold. Many months before, I had a dream about a cottage in the city. On our first morning out, Emily found my cottage! Emily has sold two Park Hill houses for us in difficult markets. Both sold faster and with far less turmoil that we expected. Selling your house and buying a new one can be exciting yet stressful tasks. That’s where Emily’s expertise guides you in the right direction. She has a huge amount of know-how, professionalism, wonderful resources, absolute honesty, a great sense of humor, and a big heart. Working with Emily was a dream. She began helping us plan the sale of our house months ahead of time and then guided us expertly through the process. It could not have been smoother. We had a contract 48 hours after listing (in the middle of January). After the contract, she coordinated some rather complex timing issues between our old home in Park Hill and the new home she sold us at Stapleton such that our lives were minimally disrupted. Throughout the whole process, it was a constant source of comfort to know that Emily was working for us and to see how thoroughly and passionately she does her job. As exemplary as are her professional skills, Emily also has the personal qualities to match. She is very kind, patient, and has the utmost integrity. Her responsiveness to clients is unmatched among realtors. Through her hard work and savvy negotiating skills, in a competitive bidding process, she helped me land the home of my dreams. In addition, thanks to her sage advice and attention to detail, the home closing process went smoothly. Simply stated, Emily Roet is a great realtor. She’s a consummate professional and a wonderful person. I would hire her again in a heartbeat. Emily was great in selling my house and helping me purchase a new one, working within fairly tight time and logistical constraints. Her marketing expertise and intimate neighborhood knowledge were critical in preparing my house for sale and setting the right price. In buying my next home, she honed in on my most important requirements and provided expert guidance during the negotiations. I recommend her wholeheartedly. Elizabeth G. and Monie O.
knowledgeable. And you can tell she loves her craft! It shows in every aspect of the buying and selling process! We can’t say enough about Emily and the fabulous job she did for us. Her professionalism and knowledge of the real estate market was outstanding. She was committed to doing a great job and has extraordinary talent for details-nothing gets through the cracks. Emily was always available when we needed her and went above and- beyond the norm to help work out the negotiations. We were so happy with Emily, she is truly a gift to the real estate profession and we’d never think twice about using her expertise again. Sold a single family home in Denver. From the minute I gave you the keys, I began to see things get done almost immediately. Not only that, but the cost to get everything done was much less than I anticipated. The stagers you brought in, did an amazing job and with just the few items they brought in and the house looked great. I feel confident this greatly contributed to the short time it was on the market. I have worked with realtors in the past and I can honestly say you went above and beyond what was expected. Emily and Charm were very helpful with our home purchase going above and beyond the call of duty. They guided us through the process (first time home purchaser) and even went as far as calling and recommending designers and contractors for renovations we wanted to do. Emily and Charm coordinated the appraisal, the inspection, and many of the other items that go along with purchasing a house and made the process very smooth. A friend referred Emily to me and she did not disappoint. She and her staff are highly professional and personable. As a first time home buyer I had no idea what I was doing and Emily made the process of buying a home so wonderful. She has great professional contacts and she explained everything to me along the way. She looks out for the best interests of her clients! She returns phone calls and emails immediately at any time of day or night. Emily and her staff are wonderful people – I would work with them again in a heartbeat! Terry H & Ellen B.
Roet Realty found us the perfect home. Charm bent over backwards to make appointments and show us homes in a timely manner, offering expert insights on neighborhoods and home design. Emily answered all of our questions, submitted a well considered offer with lightning speed, and negotiated the terms of the contract with professional savvy. This team was accessible, friendly, knowledgeable, and helpful. 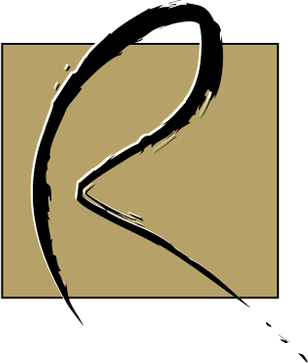 Thanks, Roet Realty, for making this a painless and positive process for us. We are so glad that we worked with Emily for the purchase of our first home. We moved to Denver from San Francisco and Emily was one of the first people we had the pleasure of meeting. Emily is kind, generous, thoughtful, hard-working, and more importantly, very experienced in the Denver area. Her experience, intelligence, education and entrepreneurial spirit made her our first choice. Emily made the entire experience enjoyable and fun. All along the way, Emily provided us with great referrals for lenders, movers and insurance agents. The entire experience was completely painless, which is not at all what we expected. Thank you Emily!! Moving is always stressful and relocating to a different state is even more so. Of course finding the right home is probably the single most important and difficult of all the decisions that need to be made. My husband and I were fortunate to have had the pleasure of working with Emily Roet, of Roet Realty throughout the whole process of relocating from Seattle WA to Denver. She is experienced, knowledgeable and very hard working. Emily takes the time to get to know exactly what her clients are looking for and proceeds to assist with ALL aspects of helping them to find the right home for them. In our case, this was done interstate, making the task even more difficult. With Emily’s assistance and guidance, we were able to find and purchase the perfect home for us. She took care of all the paperwork and details to ensure that everything went smoothly: arranging inspections, offering guidance about financing, ensuring the proper paperwork was all in order each step of the way. She also was, and continues to be most generous in sharing her wealth of knowledge of community resources including designers, painters, handymen and resources for general home maintenance, shopping etc. making it easier to assimilate into a new community. Her attention to the details has been invaluable to us. What really sets Emily apart from other realtors however, is that she consistently goes above and beyond her responsibilities as a realtor and doesn’t disappear once the deal is done. After purchasing our home, I returned to Seattle to take care of arranging our move. I received a phone call from Emily several days later stating that she located a specific piece of furniture that I had admired and wished to purchase but that wasn’t available while I was in Denver. Not only did she purchase it on my behalf with my consent, but it was in my new home when I arrived in Denver. Energy, honesty, and expertise are the qualities that Emily brings to the table from day one. We’ve bought and sold homes before and had been looking for an agent in Denver for more than a year but couldn’t find one we could trust much less feel comfortable with. Emily was recommended to us by a neighbor who was very happy with her services two years prior. Over and above her technical expertise in real estate, Emily repeatedly emphasized in deed and word that her main concern was that we be happy with our new home. And that is exactly what happened, and in record time, too. Thank you, Emily! Emily was referred to me by a friend of mine. When I first met her, she was given me the impression that she was a very resourceful, knowledgeable, efficient and caring person. I was right about my assessments. Emily and her team were able to find me the perfect investment property at a very good price in a extremely short period of time. (one month) Since I am not an American citizen, Emily went above and beyond and found me the reasonable financing option which no other agents that I checked were able to do it. We were very happy indeed about our purchase. Thanks Emily! I’d recommend Emily to anyone who wants to have a peace of mind, game free, headaches free experience when buying a property, Emily is just the right person for you.